OMNIVISTASCOPE is possibly the most highest standard small press title out there. Publisher and lead writer Paul Scott brings us a massive 100 plus page title, that sees within its pages a superb array of science fiction, photo-story, interview and opinion. The cover is by Oliver Redding, who graced us in FQ07 with Meet the Don and other creators some of you may find familiar are Bryan Coyle, Ed Berridge and Julia Bax. This issue also features a repeat outing of a strip from FutureQuake 05- Tides and currents, relettered to within an inch of perfection by Paul and the strip really benefits from the improved printing OVS enjoys. I recommend each of you to buy a copy of this, as it is well worth it. Zarjaz 08: Now with Added Prizes! I’ve already blogged the new cover to Zarjaz, however we now have a Ghafflebette competition to win a copy of the new V.C.’s collection ‘Back in Action’ courtesy of those wonderful droids in the Nerve Centre at Rebellion. How do you win- easy. Buy a copy of the comic and solve the puzzle within. We’ve got two copies of the book, and we will be taking answers for a little while! It ain’t called ZARJAZ For nothin’! STARK REALITY is a self published anthology strip collection by australian contributor BMB. This is the first of three volumes currently available, and I’ve got vol 2 in the pile to read in the next few months. BMB openly states in his bio that he is a fan of 2000 ad, and it shows. The strip here all share a universe, and it isn’t a very nice one. There is a lot here for a 2000 ad fan to enjoy, but more than that there is a sense of something starting. BMB’s artwork is patchy in this volume, and if you compare it to ‘CAVEY’ that he drew for Zarjaz 07, or to the strip he has in the next FQ ‘A FISTFUL OF SHEKELS’ then you will see how far this lad has come. The scripts are solid, and entertaining as you would want for a first collection. I’m looking forward to reading vol 2 when it reaches the top of the pile, and I’ll be ordering Vol 3 as well when time and finances let me. Want to look Zarjaz at BICS? Need a companion to your Hi-Ex! 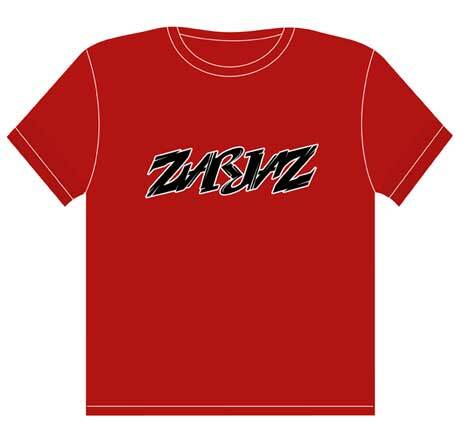 T-shirt? Pre-orders are now being taken for these amazing T-shirts featuring the new look logo designed by Kevin Levell. Just imagine being at a convention with one of these beauties- never again will you be stuck for something for your favourite art-droid to scrawl on. 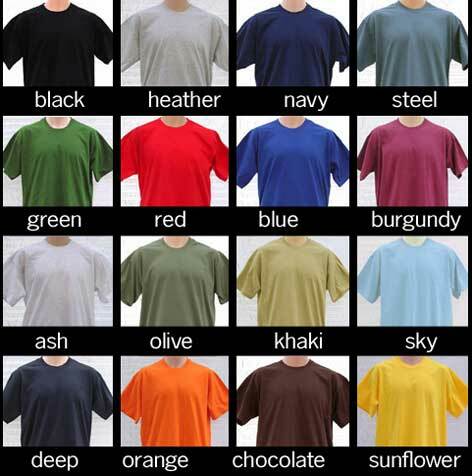 There is even a choice of colour for your magnificent new apparel, and all for £11.50 plus P&P. If you are interested, please get in touch via the usual email and we’ll take it from there. 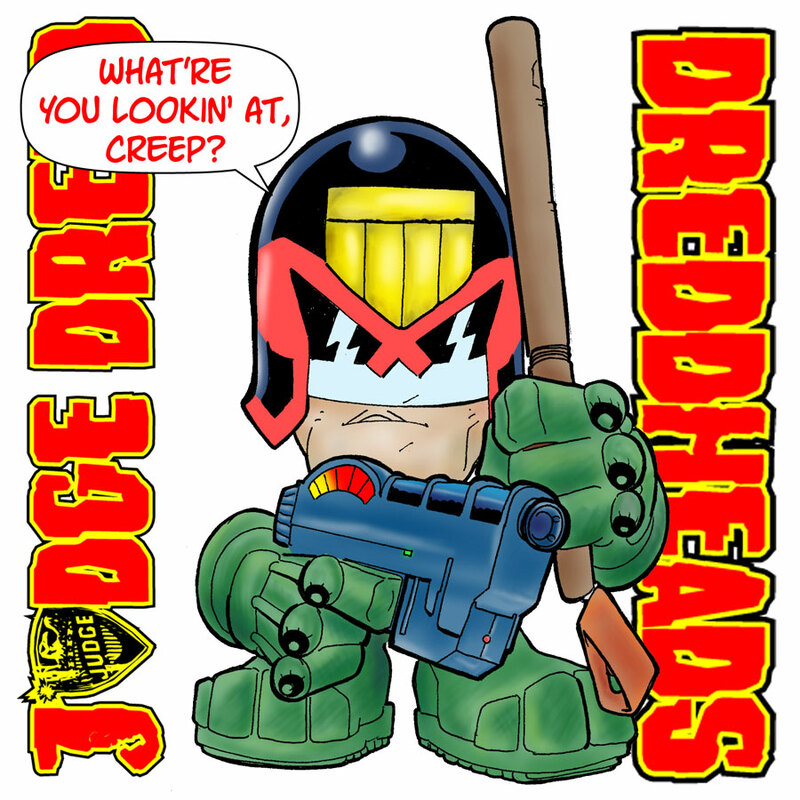 Coming up in the near future, a new, commissioned for Zarjaz adventure for the Dreddheads. Over on her BLOG, Artist Vicky Stonebridge has talked about her strip for the next issue of Something Wicked, that I received the artwork for yesterday. It is also the coverstrip for the issue, so I’m hoping it will go down well when the comic is released in October. 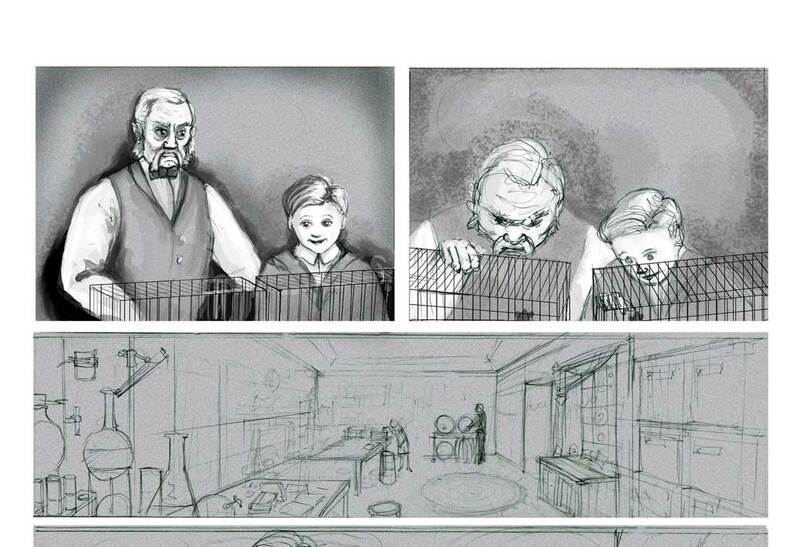 Here is a small tester Vicky sent me to show how she was building the pages.